Open source projects are great for many reasons. I like them because you get almost instantaneous feedback on legitimate problems. And I also like them because they provide great one-to-one marketing opportunities. 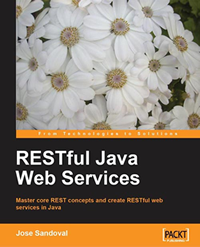 I just finished writing a full chapter on Restlet (Restlet is one of the few RESTful Java frameworks available today). While implementing sample code for Chapter 6, I found the latest version, 2.0, lacking support for the HTTP Accept header (version 1.1 is the official released version; 2.0, is still under development). Because Restlet is open source, I downloaded the code and found what the problem was: version 2.0 doesn't have that functionality implemented yet. I sent the tech lead of the project a message and got a reply within a day. What's more, I now know when the feature will be released to the public, as I got a message yesterday saying that the code is already in the repository and it will become part of the next release. Once the update is available, I will be able to rewrite the portion of the chapter that needs rewriting (if at all). I'm not a paying customer, but I'm a satisfied customer. This is a case of making a good product better and the spread of information about it more accurate. I have found problems with commercial products and tried to get the issues resolved, though not in the same capacity I have here: individual to individual. In past cases, I was asking on behalf of a corporation, which was a paying customer. The incentive to fix the problems, and quickly, were greater--money tends to have that effect. Open source project are like that, though. I mean that all the cards are on the table; there is no exchange of money; but there's always the potential to spread knowledge, and, of course, to make money by creating value out of free information.